Brandon Katz will be at the conference and will participate on a panel Private Flood Insurance - Streamlining Underwriting Through new Modeling and Technology. If you're going to be there, please stop by our booth and meet Brandon. KatRisk has released a Canada inland flood event based probabilistic model within our SpatialKat software. 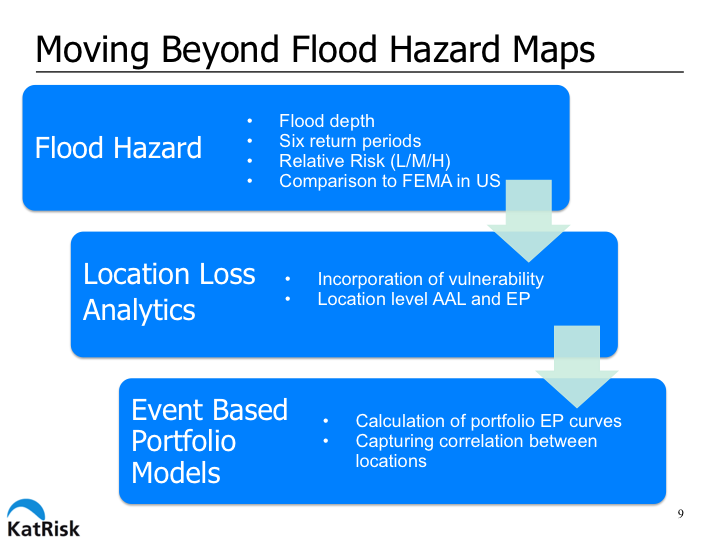 See the below slides outlining our Canada flood risk offerings, from hazard maps to location loss analytics to probabilistic model. 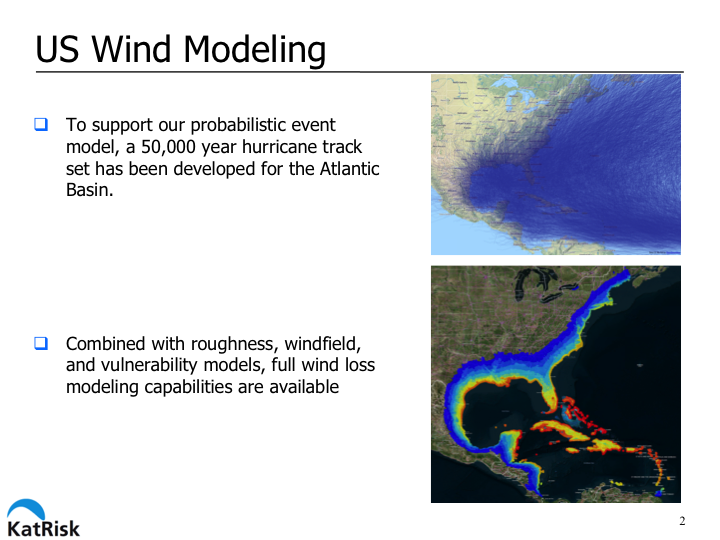 Next up for SpatialKat is a US probabilistic model including inland flood, and tropical cyclone wind and storm surge. We have completed development of our US storm surge model. Storm surge has been analyzed for our entire 50,000 year Atlantic Basin Hurricane track set and output on a 10 meter grid. 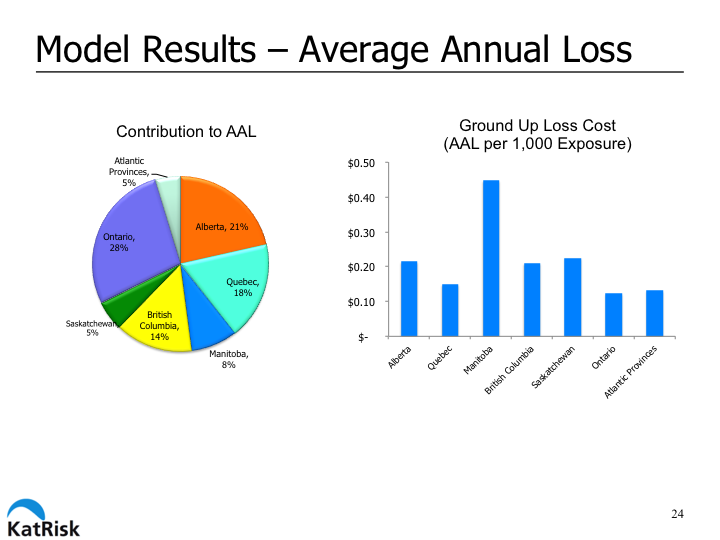 Results have been incorporated in our location loss analytics software and will also be included in our US event based probabilistic model to be released later in 2016. The following slides provide more details and some examples.